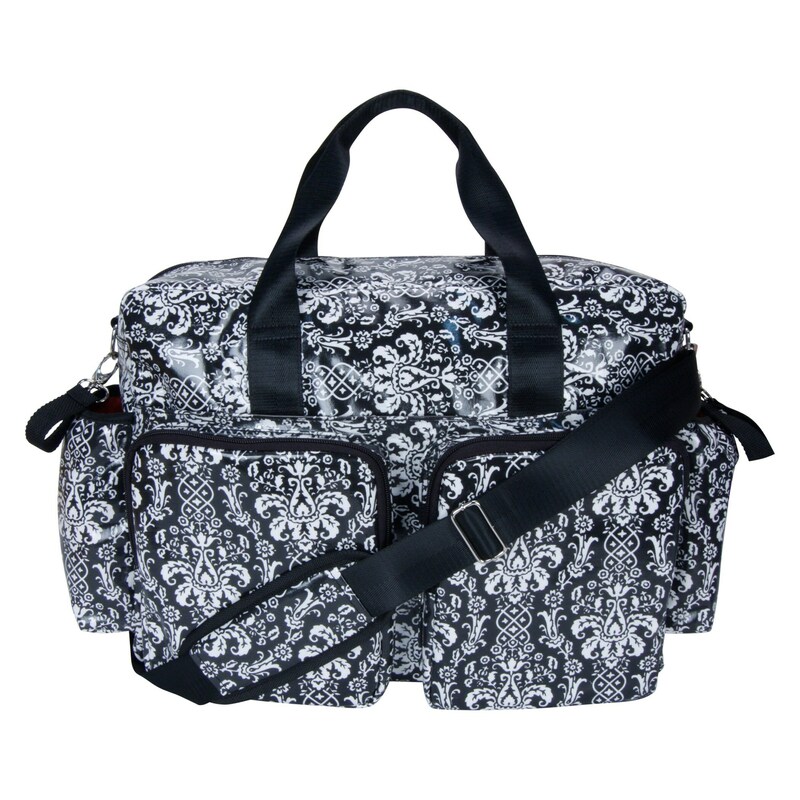 Form meets ultimate function and space with this Deluxe Duffel Diaper Bag. 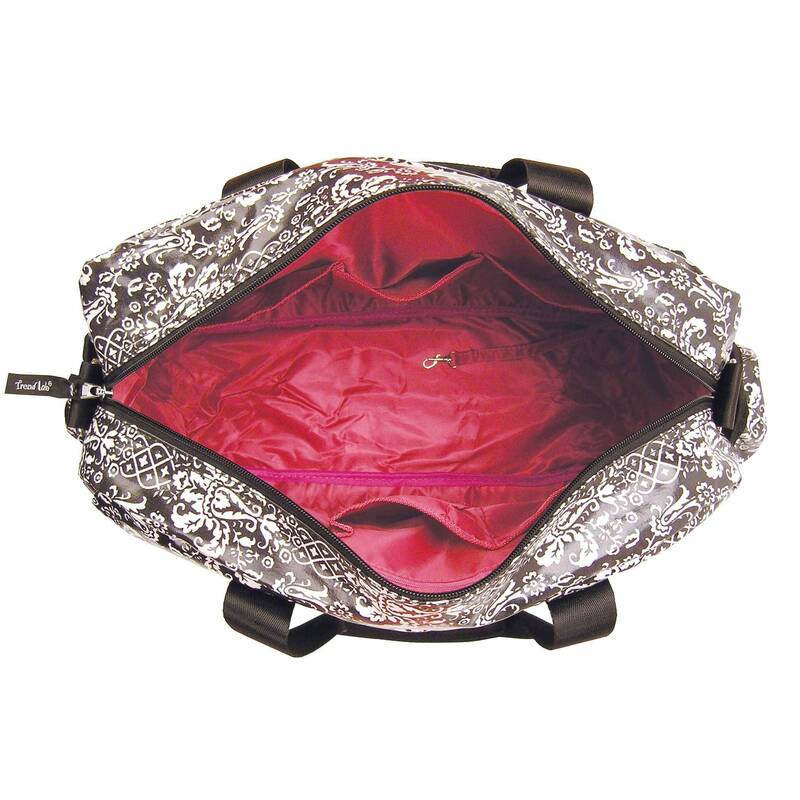 The Deluxe Duffle is spacious enough for parents with multiple children and features several organizational pockets, a durable wipe-off exterior, sophisticated style, and extreme versatility. 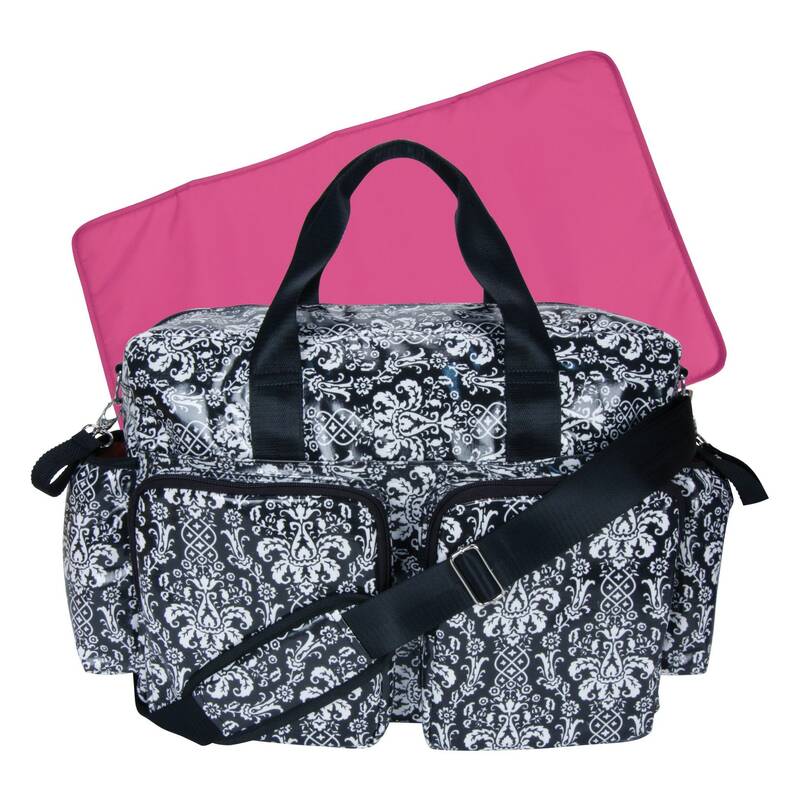 The Deluxe Duffle is made from durable black and white damask print PVC coated canvas and has an attractive fuchsia pink nylon lining. Black top handle straps in addition to the black adjustable and removable shoulder strap allow for handy carrying versatility. 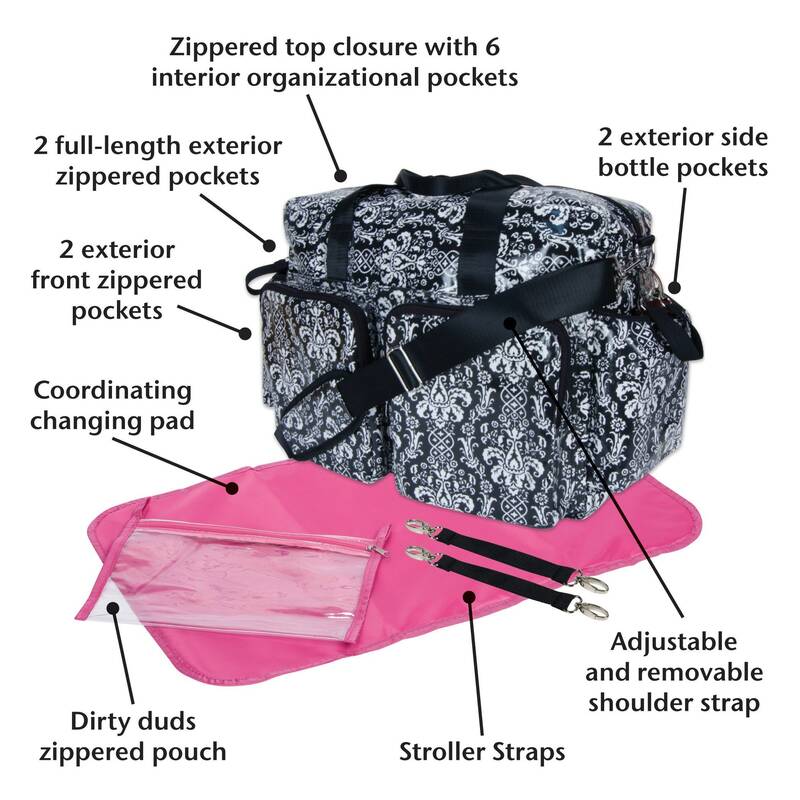 Removable stroller straps can also be used for easy attachment to the stroller. 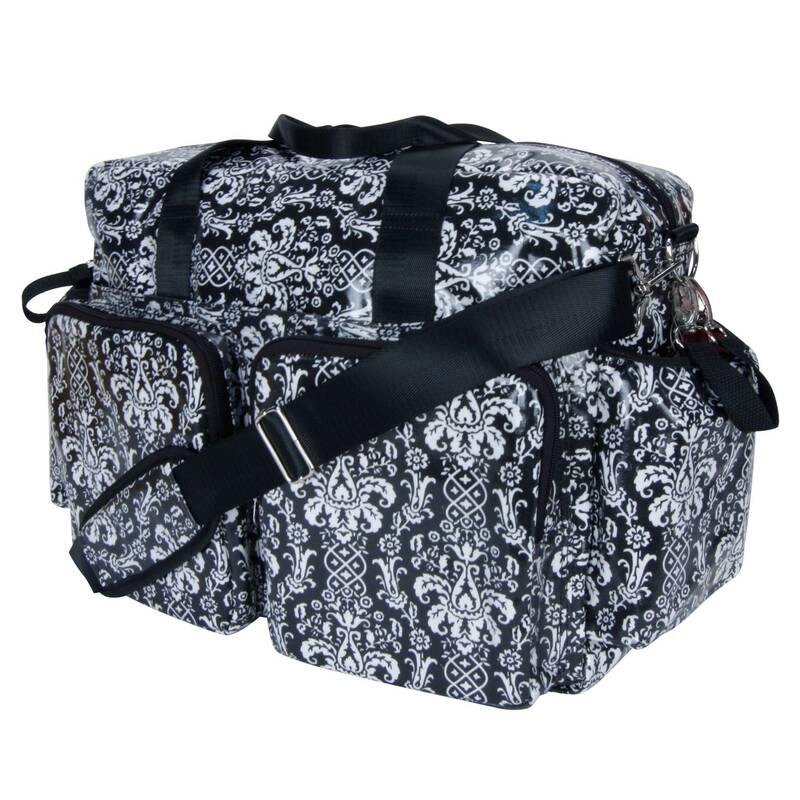 Bag measures 16 in x 12 in x 6 in with two 24 in handles and a 34 in - 46 in adjustable strap.